Dr. Ikemiya was born and raised in the Central Valley. He worked towards a degree in Zoology at Fresno State and then graduated from Northwestern University Dental School in 1990. In addition to all general dental procedures, his areas of specialty are TMD therapy, Esthetic dentistry, and Sleep Apnea therapy. He is a member of 6 study clubs in order to remain current in the latest innovations and techniques in dentistry. He is actively involved with the Pankey Institute, dentistry's leading center of continuing education. He has served as an Advisor and board Member, and is currently a member of the visiting faculty at the Pankey Institute. He has been asked to present to other study clubs and at major dental meetings throughout the United States. Dr. Ikemiya is also a member of the American Dental Association, California Dental Association and Monterey Bay Dental Society. 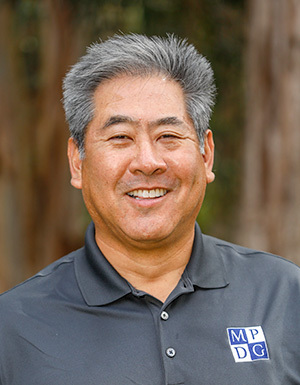 Dr. Ikemiya and his wife have three children and thoroughly enjoy all that life on the Monterey Peninsula has to offer. His personal interests include golf, wine collecting, travel, and photography.